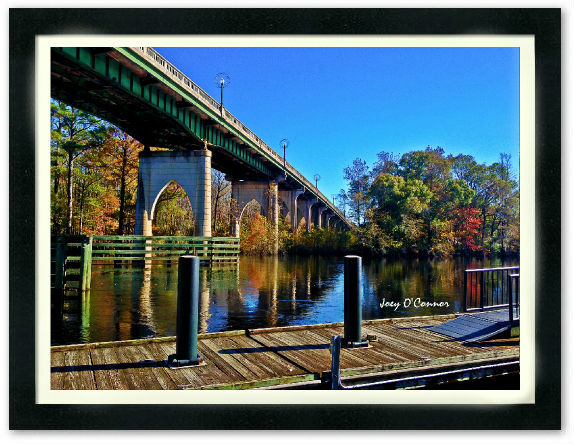 Joey O'Connor Special Photo Print for Conway Living! SORRY! TIME HAS RUN OUT AND/OR ALL HAVE BEEN SOLD! However, this photo is still available directly through Joey O'Connor Photography! CLICK HERE to visit his photography page. Only 60 Will Be Produced! Available Now Thru December 28th 2015 or When Sold Out! Free Frame! Will Come Ready To Hang! This Is Sure to Be A Sell-Out So Order Fast! Limited Time Only --- Just $95.00! & GET A FREE LIFETIME "FRIENDS OF CONWAY LIVING" MEMBERSHIP! Conway Living has made this special deal directly with Joey O'Connor! His signed, titled, and limited edition photos will usually be around $199-$299 for a limited edition run of 100 but we have arranged this special deal with him to produce 60 special prints for us at a special one-time only price of only $95! But hurry, this offer is only available for the first 60 purchasers! Please get your order in now so you won't miss out! ONLY 60 WILL BE PRODUCED! First-Come-First-Served! Only Available Thru December 28th 2015 or When Sold Out So Get Your Order In Today! Each Will Be Hand Numbered and Signed! FREE FRAME! We will include a frame and assemble it! Ready To Hang in Your Home or Office! 9x12 full color image - 11x14 total photographic paper size! Aprx 13 x 16 framed size! A Non-Watermarked Signature Photo (not as shown above) For A Clean Professional Look! Each One Printed on True Professional Kodak Photographic Paper! Ready For Pick-Up on or by January 15, 2016 - sorry no shipping available. FREE BONUS! Receive A Lifetime Friends of Conway Living Membership - a $20 value! Due to the limited edition of this specially priced one-time offer only 1 is allowed per person/order.